Ever since I was a kid I have loved pasta of any type, shape, or size. My mom used to make it for me often because it was always something I’d eat. 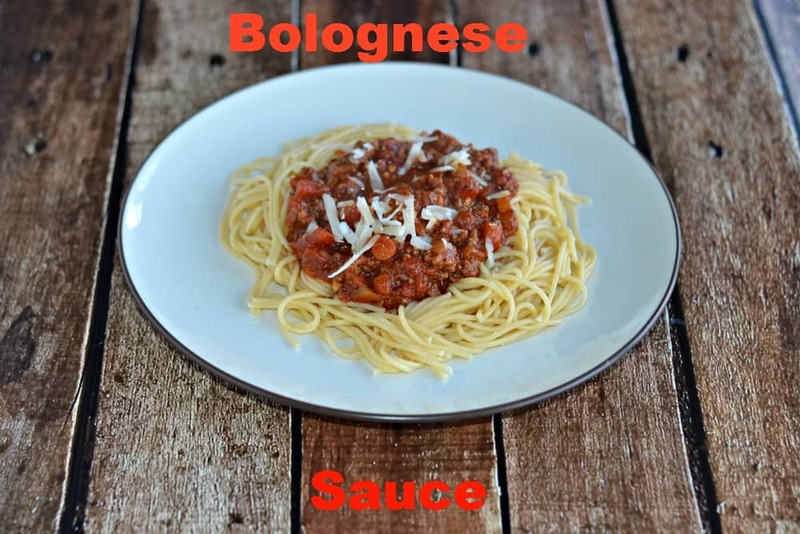 Whenever we had bolognese sauce it was usually just a combination of a basic marinara sauce and ground beef. 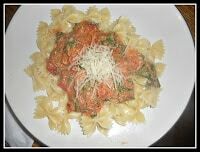 I loved how simple and delicious it was with the pasta. Fast forward to my teenage years where I worked in an Italian restaurant called Don Parmesan’s. No, this is not a joke. That was the actual name. I loved waiting tables at this restaurant. It was fun and I worked there with my family. My cousin was a waitress as well, my brother was a cook, and my cousin’s husband was the manager. As it was an Italian restaurant I often ate the pasta there as well and the bolognese was the same as my moms; marinara sauce mixed with ground beef. Years later, in my 20’s, I ate a delicious bolognese sauce that was comprised of ground beef, tomatoes, vegetables, and red wine. It was crazy good. Apparently a traditional bolognese always has tomatoes, vegetables, wine, and some type of meat. I’d been missing out on it all these years! While it does take longer then a marinara and ground beef bolognese, it’s worth the effort. The sauce is thick and both the vegetables and beef flavor it. 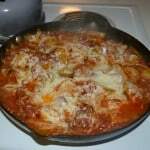 The red wine adds some depth to it and the tomatoes finish off the sauce. 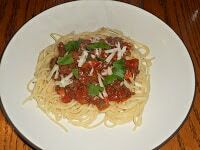 It was a hearty, thick red sauce that was delicious with spaghetti. It made plenty so we were able to have leftovers for several days afterwards and each day the sauce kept getting better and better. 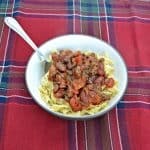 Delicious homemade sauce made with vegetables, pancetta, and ground beef. Heat the olive oil and butter in a large Dutch oven over medium heat. Add the onions, butter, carrots, celery, and garlic. Sprinkle with salt and pepper. Saute the vegetables until soft, about 10 minutes. Add the pancetta. Saute until the pancetta starts to brown. Increase the heat to medium high and add the ground beef. Cook the meat for 10 minutes or until there is no pink. Stir in the tomato paste, oregano, and basil. Reduce heat to medium. Deglaze the pan by adding the red wine and scraping the brown bits from the pan. Let the wine reduce for 2-3 minutes. Add in the tomatoes and the beef stock. Bring the mixture to a boil then reduce heat and simmer. Simmer, uncovered, for 2 hours, stirring occasionally. Season with salt and pepper as needed. 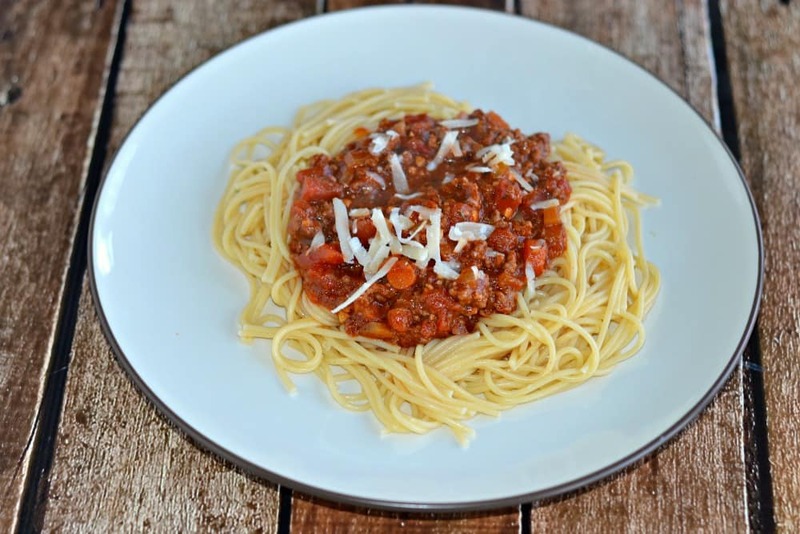 Divide spaghetti between 4 plates and spoon sauce over top. Sprinkle with cheese if desired. 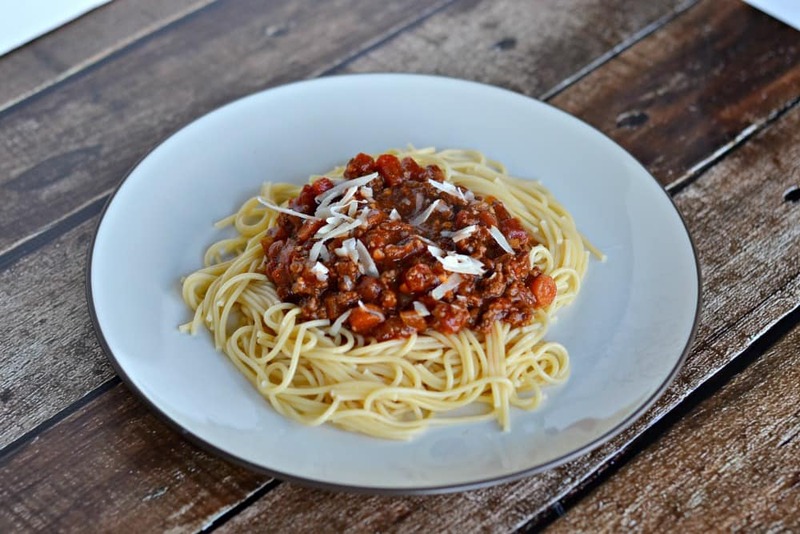 Bolognese is a classic for a reason and you did a fantastic job!